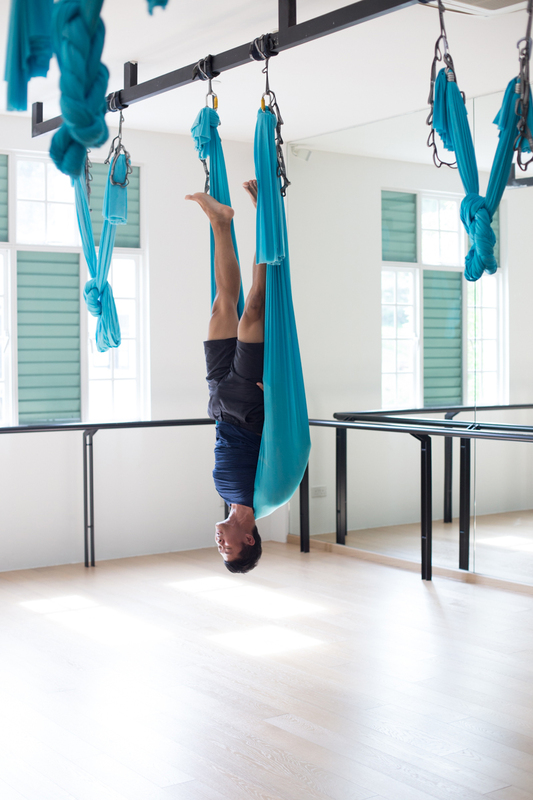 Nothing beats the feeling of freedom from hanging upside down and all the undeniably fun from mid-air Yoga asanas & Dance-inspired flow sequences. While Aerial can appear to be an adventurous workout for advanced fitness junkies - it can also offer tremendous healing benefits for anyone who's been suffering from chronic pains caused by the modern 'sitting' lifestyle. 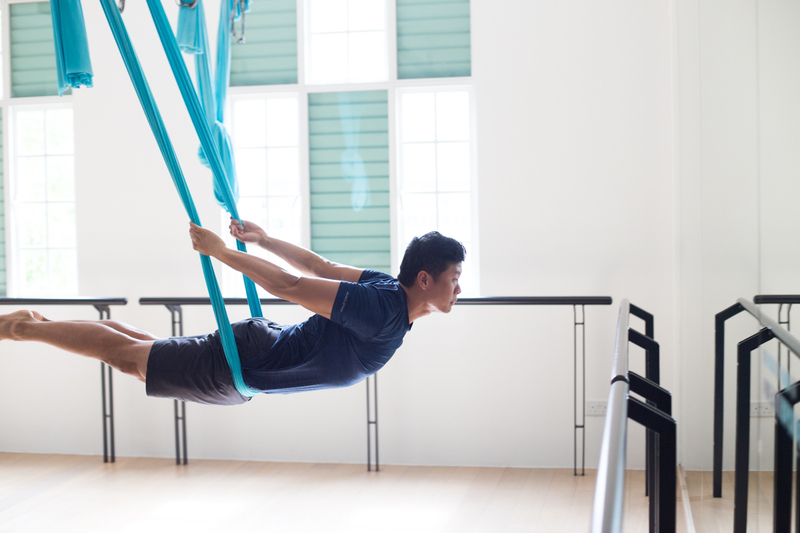 In this feature, we picked the brawn and brain of our Aerial instructor Ryan to get us familiar with the benefits of three Aerial poses that will give you the much-needed pain relief and a healing pathway for your body. 1) If You Have Back Pain: Spiderman! Sitting down can overstretch your spinal ligaments and spinal structures, contributing to your back pain. The classic Spiderman decompresses and lengthens your spine. Flying Shoulder Stand is a great myofascial release for the traps (upper trapezius), releasing tension from the neck and shoulders. This ultimately improves your shoulder range, ease your headaches and make your body more upright! Front-Belt Wrap variations can help to target difficult-to-reach area and provide the myofascial release for the hip flexors, alleviating the problems long hours of sitting can cause. Fancy? Yes! Difficult? Not at all! The silk hammock helps you reap the benefits of the traditional Yoga inversion poses that would usually require much more strength when performing on the mat, while putting zero impact on your spine. 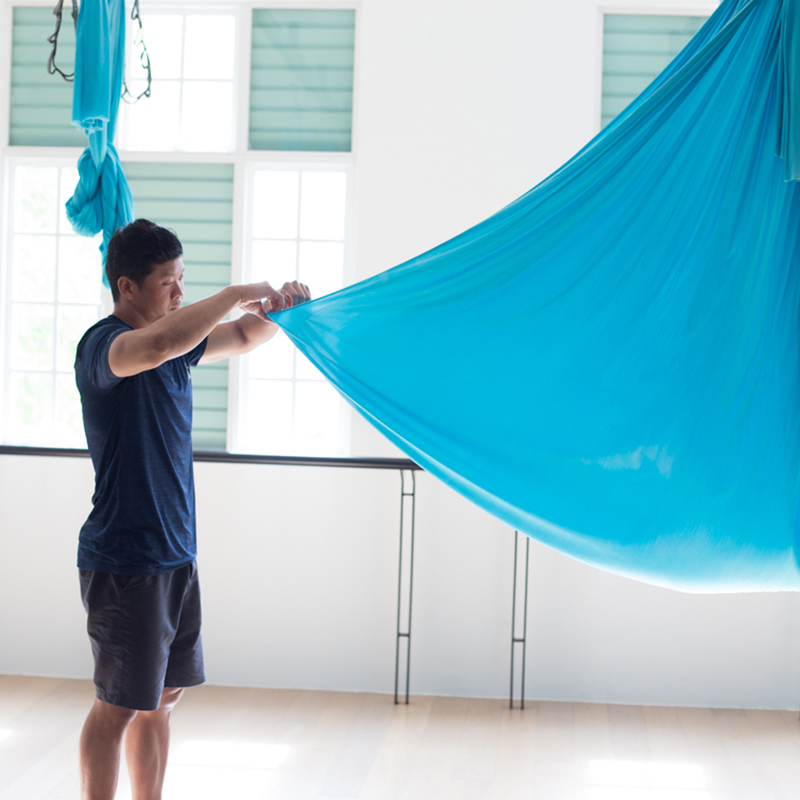 The silk hammock used in Aerial workout assists your body in a dynamic fashion: it can be used to make the same pose harder or easier to suit your strength and flexibility level. This makes Aerial suitable for both fit and unfit people! Try it out for yourself! Book your next class with Ryan here!